Contact thee owner at 816-225-seven zero zero three...In excellent condition. 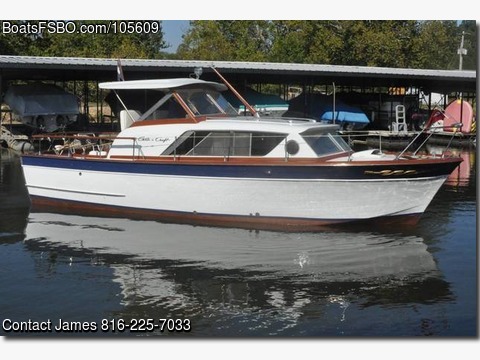 Completely restored with West bottom and twin 283's.28 ft long and has a 10 ft beam. Professional Out of Water Survey Available.